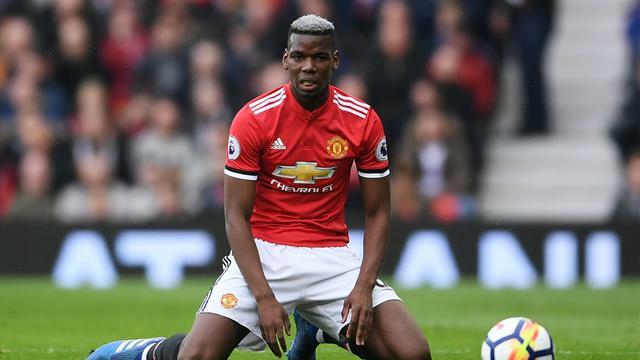 Paul Pogba has left himself open to criticism following his hollow performance against West Brom, according to Thierry Henry. United’s record signing was widely praised following a dominant performance in the Manchester derby last weekend but was withdrawn with half an hour to go in the Red Devils’ defeat against West Brom. “As soon as the game started, something was weird – the atmosphere of the stadium, the team – it’s so weird from what we saw from that team a week ago,” Henry told Sky Sports. "The commitment, the desire, and I asked if Pogba can do that all the time, the way he played against City. The answer is nope." The game was scoreless when the 25-year-old was hauled off but Henry has questioned why United were unable to sustain their intensity against the Premier League’s bottom club. “He told them be careful it is going to be different against West Brom and I go back to Pogba: why didn’t you and the rest of the team do what you did against City all season?” added the former France international. The result meant United’s bitter rivals City won a third title in seven years.